When a brand of luxury goods decides to extend their product rage to a new field, it usually makes more sense to seek the assistance of a manufacturing specialist rather than to attempt to start from scratch. The subcontracting often takes the form of a licensing agreement, where the licensee is either an Original Equipment Manufacturer who will produce based on their own specifications, or an Original Design Manufacturer who will produce based on the licensor’s specifications. A good example of licensor is Ferrari, who entrusted Girard-Perregaux to personalize stock OEM GP watches with the prancing horse. Following a mitigated success, the carmaker then turned to Panerai, who designed bespoke ODM watches. In the end, Ferrari was not satisfied with either parnerships and decided to spread the license across an OEM/ODM license with Hublot and an OEM license with the Movado Group. Unlike Girard-Perregaux and Panerai, a handful of small and medium-size watchmakers have become successful licensees: Fossil, Marlox AG, Mondaine Watch Group, Mondia, Morellato & Sector Group, Movado Group or Timex, to name a few. It seems to make perfect sense five years ago, when luxury retailer Tiffany & Co. and manufacturing leader Swatch Group AG enthusiastically announced a joint-venture; but the fine prints were laying the ground for a roadmap to dead end. “As you make your bed, so you must lie on it“, goes the saying: after a series of motions to sue and counter-sue each other over the botched 2007 deal, a Dutch court ordered Tiffany & Co. on December 21, 2013 to compensate Swatch Group AG after the latter abruptly ended their business relationship in 2011. I only started looking into the details of the 2007 deal in preparation for this essay, but public statements of the time suggest Tiffany & Co. was convinced that the Swatch Group would act as an ODM, while the latter had all reasons to believe that it would be using the Tiffany name as an OEM. After their embarassingly failed attempt at reviving the Léon Hatot name, the Swatch Group was eager to set foot in the jewelry watch market with an institutional name such as Tiffany’s; but unlike Disney’s Cinderella fairy-godmother, they sang Bibbidi Bobbidi Boo with all their might and failed to turn the pumpkin into a horsecarriage. Even though both part overestimated their ability to work together, the blame should go to the Swatch Group for failing to learn from the Léon Hatot trainwreck and for trying to play pawn promotion with the Tiffany license for round two. Pawn promotion is a rule that allows a chess players to transform a pawn into a queen, knight, rook or bishop when it managed to reach the opposite end of the chessboard. I vividly remember learning about pawn promotion from my father, because it seemed to belong to the realm of wizardry rather than that of logical thinking. Yet as magical as it may seem, pawn promotion can be a real game changer on the checkerboard but most of the rules do not apply to the real world. 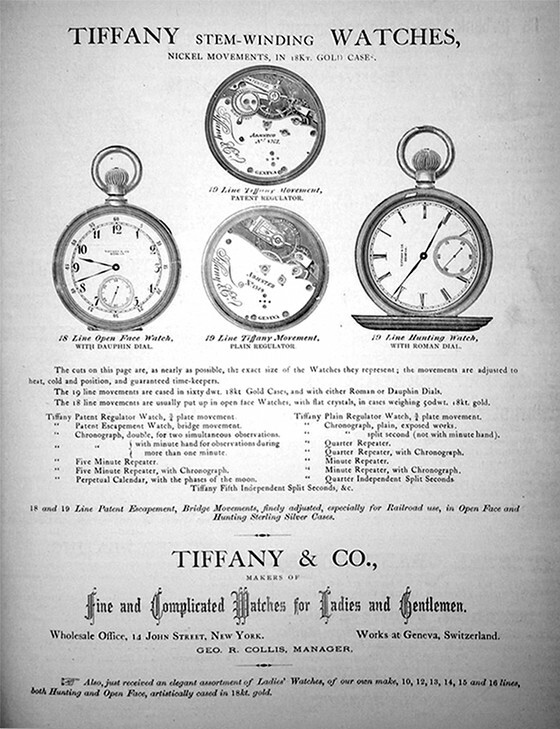 Established in 1837 as a “stationery and fancy goods emporium“, Tiffany & Co. became reowned for its luxury goods and particularly diamond jewellry. By 1870, the company had become America’s premier silversmith and purveyor of jewels and timepieces. Their silver studio was the first American school of design and they claimed to have their own watchmaking workshop in Geneva, Switzerland. The company’s exclusive business relationship with prestigious watch companies such as Audemars Piguet, Patek Philippe, Rolex or Vacheron Constantin is demonstrated by the numerous vintage watches with added “Tiffany & Co.” marking that regularly make their way onto auction houses. 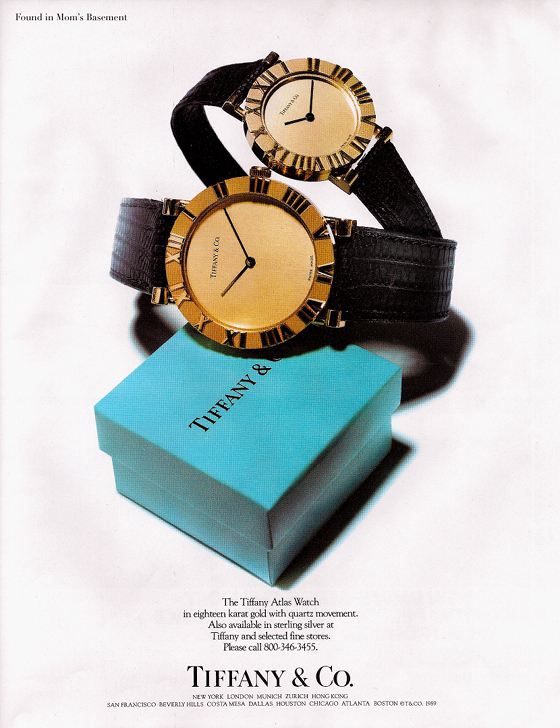 For John Loring, who acted as design director from 1979 to 2009, Tiffany & Co. was “instrumental” in promoting the watch as a mandatory fashion accessory for men and women throughout the 20th century. According to various sources, the Tiffany & Co. workshop in Geneva might at some point have been located in a building shared with Patek Philippe, and it would have released about 12,000 watches before being closed down. 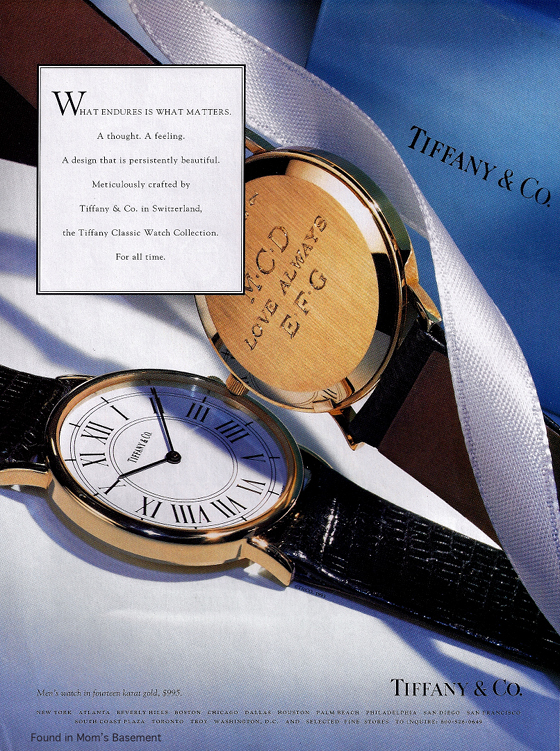 The company made its initial public offering on May 5, 1987; and Tiffany & Co. probably started outsourcing production of its own branded watches by the end of the so-called Quartz crisis. Later in 2008, Tiffany & Co. and the Swatch Group each brought 50%. Records show that Tiffany & Co. brought 19.212 million USD to the table as a result of the decision to discontinue certain models; while in page 204 of its 2008 annual report, the Swatch Group listed an investment of 20 million CHF. The combined money would be used to incorporate a Dutch company that would solely be owned and run by the Swatch Group. Tiffany’s involvement would be limited to appointing one of the 5 directors and receiving one seat in the design and one in the marketing department. Although it almost had full creative control over the license, the Swatch Group was expecting Tiffany to help sell whatever it was going to put out of its production lines through their 167 Tiffany & Co. stores. For every Tiffany Watch sold, the Swatch Group would pay an undisclosed royalty fee to the licensor. Performance: instead of investing more in the mechanisms and less on casings, the Swatch Group chose to do the opposite with Tiffany Watches, thus departing from the historical understatement of Tiffany-branded watches. Paucity: despite sharing mechanisms with Tissot watches, Tiffany timepieces were positionned in the group’s high-end segment. The consequence was their exclusion from mainstream distribution and their restriction to the 20 or so worldwide Tourbillon stores operated by the Swatch Group. Persona, Public figures, placement and public relations: having almost full creative control over the product, the Swatch Group was expecting Tiffany to comply with their corporate communication, which is preposterous considering the American company’s well-documented expertise in promoting its products. Pricing: priced like Omega watches, the new timepieces would be hard to sell next to other brands usually featured in the 167 Tiffany & Co. stores. By 2011, Swatch Group CEO Nick Hayek was accusing Tiffany of systematically blocking and delaying development, while Tiffany’s chief financial officer James Fernandez blamed the Hayeks for being inexperienced as licensees and for being reluctant to submit every decision to their licensor for validation. At that point, Nick Hayek was voicing serious scepticism about future license deals with other companies, which could explain why alleged 2011 negotiations with Ferrari never materialized even though French insider Gregory Pons had staking his life on a possible Swatch-Ferrari partnership. In prevision of the Tiffany & Co. aftermath, analyst Jon Cox speculated in September 2011 about possible Swatch Group negotiations with diamond miner and retailer Harry Winston, which eventually took place in early 2013 and led to a 1 billion USD deal. The consensus is that the Swatch Group acquired Harry Winston in 2013 to compete with Cartier and Bvlgari. Which leads to speculate that back in 2007, they had hopes of turning the Tiffany Watches license into a Cartier and Bvlgari competitor… hence the awkward product positioning. 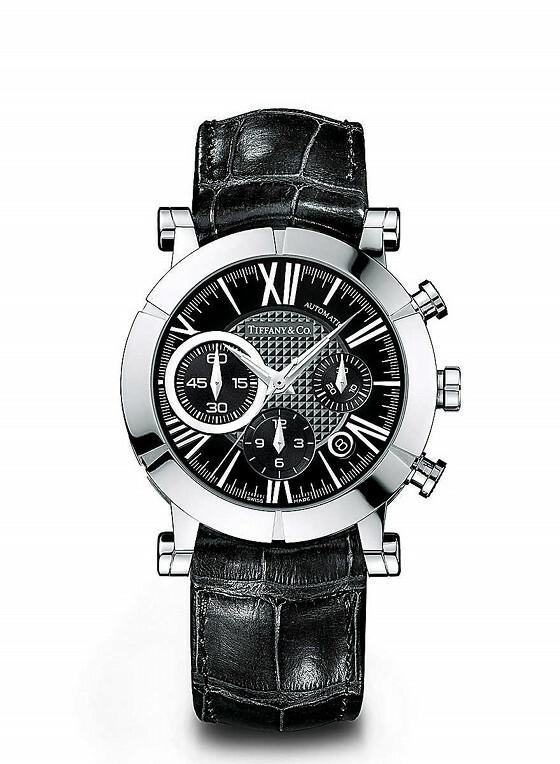 Their success with Breguet and Omega validated the hypothesis that a brand is a malleable concept. To caricature, they seem convinced that if a customer walks into a store with the intent of purchasing a Rolex, he will settle on an Omega because it appears to offer the same performance for 10 to 20% less of the price. However, 30 year strategist Thomson Dawson observes that “once a customer’s mind is made up about a brand it’s next to impossible to change it“, unless of course you are willing to throw vast amounts of cash with the aim of of helping consumers “unlearn” their perception of your brand. The Swatch Group as we know it today was born as a conglomerate with a portfolio of industrial assets and intellectual property. To this day, their strength lies in their ability to mass-produce reliable and affordable watch components. To give an example, when they took over the Union Glashütte brand in 2000, they gave up on trying to work with German-designed movements and instead brought their proven Swiss intellectual property to create German-made ETA clones, much to the chagrin of collectors. Swatch will use a new mass-produced automatic movement offering a power- reserve of 90 hours and a laser-cut balance wheel. Hamilton’s H-31 calibre was optimized to raise the power reserve from 42 to 60 hours. Tissot benefits from state of the art technology to boost the power reserve of their Powermatic calibre from 38 to 80 hours, and laser precision allowing to achieve chronometric precision. Longines ships the industry’s most affordable monopusher chronograph. As far as Harry Winston is concerned, we are talking about the brand that supplied jewelry for the most followed royal wedding since Grace Kelly married Prince Rainier in Monaco. It would be a shame if the Swatch Group pawned that horsecarriage into a pumpkin in the attempt of mimicking Cartier or Bvlgari. Unconventional Harry Winston timepieces have traditionnally left a mark in the watchmaking industry year after year, and it would be a reall bummer to put an end to this by fitting Tissot movements. The biggest flaw in the Swatch Group’s strategy seems to be brushing off concepts like emotional branding under the assumption that brands can be compared like apples, without the emotional connection that the customer builds with it. Nowadays, for 20 million USD, Tiffany could actually purchased a small-size watch company, save itself the headache and have full artistic control over well-made products. To Tiffany’s credit though, not that many brands were up for grabs before the 2008 subprime mortgage crisis. Besides Bulova, which was eventually purchased by the Citizen watch Co. for 280 million USD, or Roger Dubuis, which was purchased for an estimate 600 million USD by the Richemont Group in 2008 there were not a lot of companies that seemed to be open to acquisitions. After 2008, everything shrunk to such an extent that the China Haidian Holdings were able to purchased Eterna from the Porsche family in June 2011 for a meager 10 to 15 million CHF. In 2013, the Chinese did an encore holding by acquiring Corum for 86 million CHF. So if while licking their wounds, Tiffany is still thinking about Original Design Manufacturing, there might be possibilities… well that is once they figure out how to balance the 400+ million USD penalty ordered by the Dutch court. I would suggest entering in talks with a family-owned company like Grovana or Mondaine, who have a good record-track of working with licensors. When it comes to the Swatch Group, perhaps they should do stick to what they are best at, which is building dependable and affordable Swiss Made watches. They should leave chess rules at the checkerboard and leave the task of making jewelry watches to companies who have it in their DNA.